The team is proud to announce the release of Linux Mint 18.2 “Sonya” Cinnamon Edition. “What’s new in Linux Mint 18.2 Cinnamon“. Next Next post: Linux Mint 18.2 “Sonya” MATE released! Time to get my Linux Mint geek on. Thanks Clem and team for all your hard work. I know it’s not within the parameters of Mint at the moment because of the kernel but AMD Ryzen thred support would be nice. sounds good, will try tomorrow. 1: will there ever be events in the time/date calendar, perhaps linked to gnome-calendar? Will there be again a version via the updatemanager? 1. I hope there will be! I’ve been wanting/asking for this for several years now! 2. You can use the notifications panel applet to store missed notifications. Personally, that works better in my opinion than keeping them on the screen indefinitely. The number of missed notifications is seen on the panel, and I just click the applet, and all the notifications I missed are listed until I manually clear them. Hello Clem, Good to see you again with Sonya. There are two unaffected translation in Cinnamon. Can you check and update it later? I ams sending my Best reagrd to our Linux Mint Team. @Clem, let me get the “negatives” out of the way first so I can end this on a high note. Mini bug found: Nemo window size seem reluctant to stay resized initially, especially when opened as root/elevated privileges. They do eventually stick to the newly reset size, but it takes a while. Also adding options to the Nemo toolbar from within preferences seem to be initially reluctant to stay added and take affect. This is also true for the default icon view sizes in Views. Again though, they eventually do stay put, but I had to battle for a while for them to do so as everything kept reverting to the initial installation sizes and options when opening a new window. Wow, thank you for Sonya! One little worrying bit… just hours old, and after install many, many updates, even a kernel update. Some several hundred MB in total.. just sayin. Bandwidth isn’t quite “free” everywhere. I am seeding Cinnamon 64 and 32 bit, will do the same for MATE in the next few days. 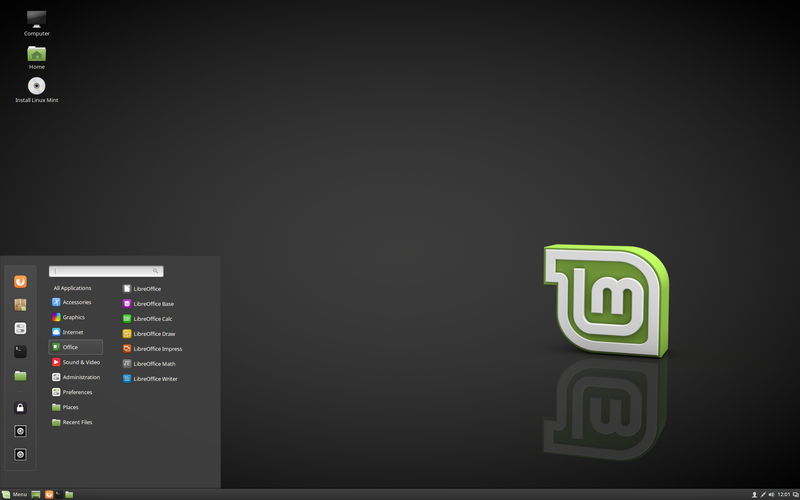 Linux Mint is definitely the best distribution for me, there is always good news and good functionalities. This version had a lot of refinement. This thanks to the Mint team who do their work carefully under the direction of Mr. Clement. 1- the organization of files and folders in Nemo, in fact, the columns are too distant from one another especially for the size 64, 96 and 128 … gnome has fixed this layout in nautilus. 2- the possibility of turning the panel into a dock, the team of Solice have managed to reach this goal this week. For the last three years I’ve noticed that many Linux users like to use a default dock. 3- the introduction of the blur effect, it adds more elegance to the desktop, the Deepin team have done an amazing job in this subject (although there are still bugs). Congratulations to the Mint team for another fantastic version,and thanks for all your hard work. Congratulations to Clem and Mint team!! Another great release as usual, been using Mint since Linux Mint 10! I am currently on 18.1 mate 64bit, would this be able to upgrade to this and will my programs I use on this port over? Is there an application compatibility tester/comparison tool? Agreed. A replacement for Kalarm (now defunct) built into the calender would be fantastic. please am using the beta of cinnamon. i refreshed the update manager but got no updates. what do i do? i installed and updated my os just last Friday. is it possible that the stable updates has already been installed? Hello. How is it possible that xed ends up with this particular bug that we first experienced with gedit (the non-closing of the app after saving a newborn file), on all three (minus the KDE flavour)versions? I was waiting for “Sonya” because i trust Clem’s dedication to quality control. The virtual keyboard is very ugly and could not be uninstalled. Florence is much better! [ Smiles ] For the record, I am a huge Linux Mint fan. I got really excited when I heard that it was released today. I have been testing out the Beta version of Linux Mint 18.2 and I will also be applying the updates via the Update Manager to make it the official released version. Thank you for creating a truly fantastic distro of Linux! CONGRATULATIONS @Clem, really the LinuxMint 18.2 team is wonderful, and best of all is that it worries that the OS works for all types of users, both beginners and advanced enjoy the work so beautiful that we share. I send a cordial greeting from SLP-Mexico. Desktop icons bug is still present. If I disable Auto-arrange along with Align to Grid option, I still cannot move icons as I wish. It seems like icons end at pre-determined positions up on release of mouse button. Disappointing Team Mint…I don’t have many icons on my desktop, but whatever I have I usually like to keep them clean. I hope there is a resolution coming soon! Succesfully upgraded to 18.2 Cinnamon. Thanks to the Mint team for the hard work making it a beautiful OS as always. Just sent a donation. Edit by Clem: From a security point of view, ideally, you should run the latest kernel in your supported kernel series (so right now either the latest 4.8 or 4.4 kernel). From a stability point of view, considering the amount of changes happening with each new kernel and the fact that this comes straight from upstream (i.e. Linux, not Ubuntu), the stability has to be assessed by you. You should make yourself comfortable with the documentation provided by the Update Manager, try a new kernel when available, see if everything still works, and revert to the older kernel if this isn’t the case. I have been running 18.2 Cinnamon beta since release and after multiple updates, 18.2 is totally bugs free for me. Very fast and reliable, a stunning achievement. Linux Mint 18.2 is a landmark and a showcase of Linux at its best. Many Thanks to its enthusiast developers ! Weird thing happened to me with Folder Color on Linux Mint Cinnamon 18.2 I change the folders color in Home. The icons set was Mint Y. By changing color to blue, all the folders in Home switched to another icons set. Mint X Blue or something. Then, when trying to use another icons set I had just installed (La Capitaine), it was impossible to change the icons in Home. Everywhere else was fine, but not in Home. I could never go back to default Mint Y green. Edit by Clem: This is caused by the fact that Mint-Y inherits Mint-X but only provides green places icons. These green icons came late in the cycle, hopefully in 18.3 we might see color variations. Nice upgrade! Everything went fine. But what kernel (4.8) is the best one to choose for stability? Running Mint 18.2 Cinnamon after a very fast upgrade from 18.1 on ASUS UX303. Cool ! Thank’s a lot Clem & Mint Team. Thanks for the good work! but…After upgrade I cannot view desktop icons or right mouse button works on desktop usin CINNAMON. when I change to MATE everything is normal. Any suggestions? Hallo. Thank you for your precious work! Edit by Clem: If it worked for you before with less than 1GB RAM, it should continue to do so. We’ve bumped the requirements though because we don’t feel comfortable with low RAM amounts. I’ve downloaded the ISO twice (once via direct download and once via torrent), tried 3 USB drives, all using UNetbootin, and I get “check finished: errors found in 2 files!” every time I check for defects. The SHA256 sum matched for both ISOs. Anyone else getting this? I must say that it seems to be faster and more responsive than 18.1. Is it only my feeling or real effect? Anyway: in my case the upgrade was flawless and the system works perfect! Have upgraded from 18.0 to 18.2 (4.4 kernel). Glad to say my bluetooth is now working on my 2 year old macbook. Never worked properly, could connect but had intermittent sound from speaker. I’ve installed the software updates for programs of linux (all the checkmarks), so I upgraded from BETA, right? There aren’t any more steps required? Tried the new version. First of all, thanks, overall it’s quite OK, even addons work… more or less… but I’m digressing. Well, Clem, the way I work I need to occasionally type in other languages and what better way to do it than to use Onboard, right? WRONG! Software installer says it’s installed. However there is NO launcher to be seen. OK, not exactly first-timer, found onboard.desktop in system folder, tried that. No luck. The ONLY virtual keyboard I was able to produce was that half-assed plugin… and then it’s English only, not full size, not my native language, no Russian, no Ukrainian, kinda like virtual keyboard on some old Android phone. Last time I checked Cinnamon is not meant to be used on phones, right? 🙂 And we’re talking about built-in OS service here, since it is installed by default. Long story short, I was unable to switch to regular Onboard. Very, very sad, as I already began to like 18.2. Had to revert to older version. Plus, I really, really would like to boost volume up to 150%. I know this may affect sound quality, but the tick box should be added nevertheless. Edit by Clem: This is a complicated design topic.. the ability to use the onscreen keyboard is a A11Y requirement and it includes the ability to see the keyboard pop up when entering an entry widget. First, Onboard and other keyboards aren’t working correctly in Cinnamon because they lack compatibility with clutter and a few components. Second, for Cinnamon’s A11Y to work correctly, it needs to listen to GNOME’s A11Y keys (which are hardcoded all over the place) and the issue we have is that when an event requires the keyboard to popup we end up with both our clutter keyboard and onboard showing up. To prevent this, Cinnamon inhibits onboard. What you’re seeing here is the solution we came up with for 3.4… I get the feeling it doesn’t satisfy everybody… and we’ll probably revisit that topic for 3.6. By the way, if you have a real keyboard, simply just add a keyboard layout in keyboard options.. you’ll get a flag indicator in the panel and you’ll be able to switch easily between layouts. I sometimes type in French, and that’s how I do it. @mensah (#17) As long as you have applied all the regular updates to the beta then you’ll have the stable version. There is no need for an upgrade path for the beta. Thanks Sonya, Clem & Mint Team. Mint 18.2 Cinnamon is splendid. I agree with others that it seems a bit faster. With all the desktop themes that are now available, my favorite remains ‘Linux Mint.’ My only problem with it is that the scroll buttons have very little contrast with the scroll-bar channels. This makes the buttons very hard to see. Just a little more contrast would help. Thank you Clem and team for another great release. The desktop disappears on LinuxMint 18.1 with the 4.8 or 4.10 kernel but runs on the 4.4 kernel. The same thing happens with LinuxMint 18.2 (kernel 4.8), it is not possible to install the operating system. I have a computer with intel G4560 and motherboard Asrock B250M-HDV with bios updated. I upgraded to 18.2, and everything seems OK so far, except that I still have MDM instead of Slick + LightDM. How do I get the new Slick greeter with LightDM? Will installing slick-greeter from the software manager do the trick safely? The other thing was that upon rebooting after install, it rearranged my desktop icons for me. The new install forced the auto-arrange desktop icons option to be checked, and I had to uncheck it again. So, a heads up for users who arrange their desktop icons very meticulously. They will be out of order and will have to be put back in their rightful places. All in all, another smooth update from Team Mint! Thank you for all you do! I’ve just upgraded LM Cin’ 18.1 to 18.2 It went well except that I can no longer resize single desktop icons. Past posts relate to earlier versions. I’ve tried the more/fewer actions option. Hello, I wonder about issues related to establish WiFi connection using WPS method. I used Linux Mint 18.0 last time and every restart reset this settings. I was establishing this connection manually. I upgraded my first machine from 18 to 18.2 with a clean install, then restored my user data. Several more machines to upgrade yet but so far everything seems Just Fine! Congrats to Clem and the Mint Team, and thanks for another great release. Actually I did find an issue with one of the background images. Pretty sure that the one called “corn”, is really a photo of barley or wheat. But I wouldn’t change anything, I kind of like it like that. Of course the background images are beautiful as usual, icing on the cake. I installed gparted on Mint Cinnamon 18.2. How do I enable the option to check partition (fsck) on gparted as it was on Mint 18? In 18.2, gparted has no option to check partitions with fsck. Thanks again for the brilliant work! @survivor This option is still there. Under the option Partition/verify. The partition has to be unmounted. Done fresh install of Mint 18.2. What i noticed is that I can`t resize desktop icons (each separately), beside that, good job. Thanks. Found a bug: Please read through because I really believe this is a bug in Cinnamon and/or Nemo rather than Firefox. While downloading the 18.2 Cinnamon ISO (32-bit) in Firefox (installed system is 18.2 Cinnamon (64-bit upgraded from 18.1) I clicked the download arrow in the tool bar in order to see the download progression, right-clicked on the progression bar and selected “Open containing folder”. At that point the entire system froze up. The first time I tried this an error dialog box appeared after several seconds stating: “The library is not responding” and gave me the choice of “Wait” or “Force quit”. I chose “Force quit” which closed Firefox. System became responsive again. I tried a second time, same steps, just for confirmation. Same thing happened with the exception that no dialog box showed up and I had to use Ctrl+Alt+Backspace to log out. I then logged back in again. System was back to normal. 18.1 Cinnamon (64-bit) with the same version of Firefox (the latest) did not exhibit this behavior. Could someone please try this out themselves and see if you can confirm this? As I said, this is from a 64-bit install of Linux Mint 18.2/Cinnamon upgraded from 18.1. Simply follow the steps as I described above. After further troubleshooting it boiled down to the “Classic Theme Restorer” extension in Firefox 54 that caused the problem. Rather a popular add-on since Mozilla changed the interface of Firefox back in version 29 but unfortunately as of Firefox 58, it will no longer be compatible with Firefox and development will be dropped (Mozilla’s shift to all web extension add-ons). Looks like the end came for me a bit early is all. thats what i have been experiencing of late in linuxmint 18.2 cinnamon. please i need help. download file. downloaded the file again. all the same. flashed bios back to f2. all no help. — upgraded from 18.1 to 18.2. ran okay. then, upgraded linux kernel. died on system boot. after logo, would hang with the little green dots going on and on. interupted the boot process and specified kernel 4.4.53 and all okay. uninstalled 4.4.83 kernel and installed 04.10.0.26. all still okay. who sometimes likes to clean-install the system. Did anyone try it with an UHD monitor? how good/bad was it? working java for setup modem securtiy . I have mint cinnamon installed on a laptop with SSD. Very nice so far. However, I will second the comment from mensah in 53. Cinnamon crashes on a regular basis. The only thing I can connect it to right now is it seems to happen in lock screen mode. I have not observed it at any other time as of yet, but perhaps mensah has experienced it elsewhere. Also, music player controls were working on lock screen at first, which was a nice touch. But they no longer work. The control panel displays, but controls are dead. Again, this is at the lock screen. Other than that, this is the best yet for a certainty. Correction to comment 56. The volume slider for the music player control panel at lock screen does work. Other controls, like pause, advance, etc., do not. Yet another follow-up on lock screen music control panel; after starting and stopping the music player (Audacious in this case) it seems to have reactivated all lock screen music player controls. Not sure what the event is causing it to quit working. I supposed it could be tied to the Cinnamon crash, but have no idea. Habe ausschließlich gute und empfehlenswerte Erfahrungen seit “Sonya”-Installation zu berichten. Bravo, sehr gut! I didn’t think you could improve on perfection, but hanging out so much like I do with “Sonya” is making my lovely off-line wife a bit, umm, suspicious. Haven’t had this much fun and excitement since my first exposure to the good-old ‘dial-up’ days. When I start to remove the mathjax font family using synaptic, it appears that xreader depends on it, and will be deleted along with the font. I don’t need to view tex-derived formulas, and I’d rather not have thirteen mathjax entries cluttering up the font list in applications I run. If xreader isn’t able to render something for lack of a font, I’d be happy to see a little box where the character should have been. That’s what other apps do, I believe. Other than that little issue, Cinnamon 18.2 is perfect for me. Thanks Clem and team. is anyone gonna respond to 56 ???? doesn’t anyone on the mint team care that the download version doesn’t work? Great job. 18.2 works great. To Linux Mint Team: Thank you for all of your hard work. Once again, you hit it out of the park! Great job, love the icons grid. Bug: After upgrading from 18.1 to 18.2 (64bit) nemo-desktop didn’t autostart, so there was no desktop, no icons, no context menu (for what:-)). At least the task bar/menu came up so it’s easy to fix via “Startprogramme” (“autostart or startprograms” in English? ), but I guess that was no intended. My thanks to Clem and the team for an outstanding job on 18.2 Sonya! As close to perfect as you can get. Finally broke my dependency on Windows 10 for good. A special thank you to you Clem for the tip to uninstall the Intel 9xx driver for us users who have later Intel graphics. My laptop has Intel Broadwell 5500 graphics and I was having all kinds of jittery screens running Firefox and Chrome as well as scaling issues when I wanted to connect to my flat panel TV via HDMI. It was almost a deal breaker for me. After I uninstalled the Intel driver, I couldn’t believe the difference, Cinnamon is snappier and more responsive, I can run full hardware acceleration on both browsers now with no issues. Again…..thank you for your great work! Only one thing missing for me – color variations of the Mint-Y style (which is also great like the rest of the work done). Can we expect such to be added like with the Mint-X style (Aqua, Teal, etc.)? Can I ask, what is the meaning behind the logo of Linux Mint? Been a while since updated but ever since when I switch to another workspace, the OSD is not shown although it is activated in the settings.. any idea why? HELLO. Thank you for your hard work! Could You Please add a monitor refresh rate selector to the display options in cinnamon? I know I can use xrandr –rate 144 to use my monitors refresh rate but it would be easier to select and save it like in the mate version. Cheers! With Cinnamon 18.2 I can attach remotely using xrdp & x11vnc to a ‘bare metal’ installation, without a monitor attached. This is the first time this facility has been available since 17.3, so I can now update my servers to the current release. 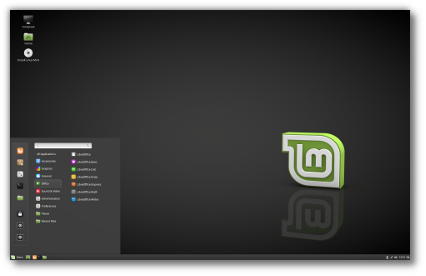 Just explored Linux Mint 18.2 Cinnamon edition and captured a few screenshots. Screenshots are available in DistroScreens portal.